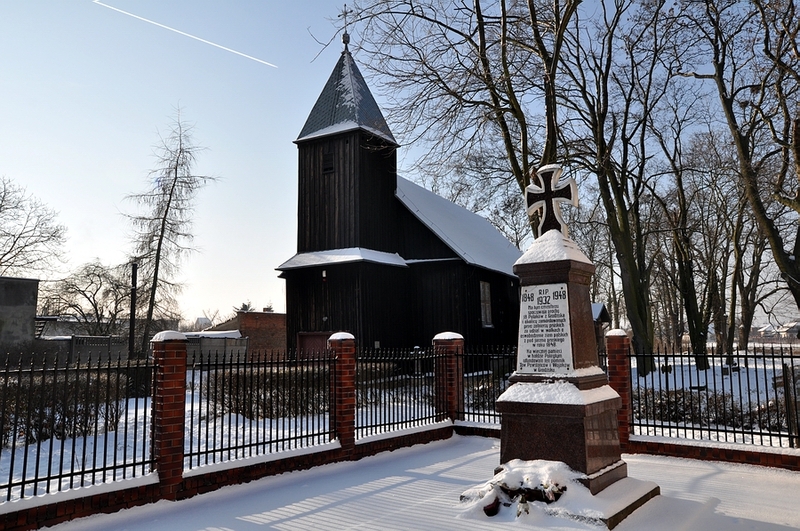 The most important monument of the town of Grodzisk Wielkopolski is undoubtedly the Church of Saint Jadwiga, which is often referred to as the “Fara”. 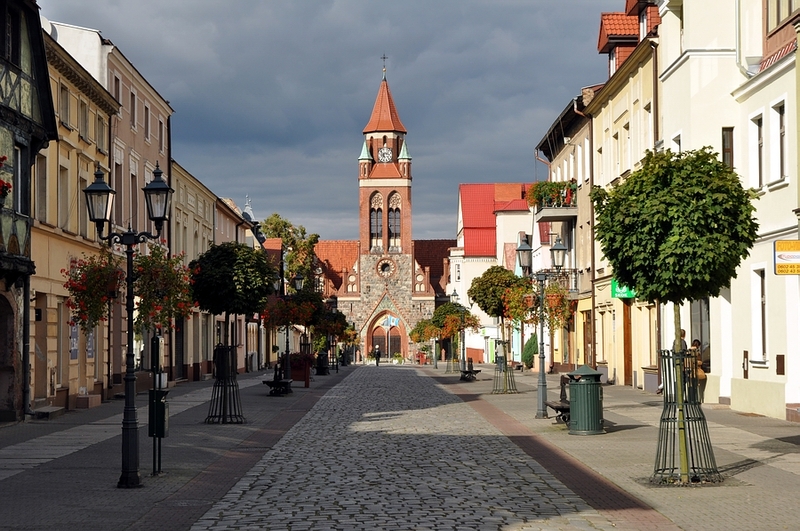 It is located a bit to the west from the city hall and is also one of the most original creations of the 17th century architecture in the Wielkopolska Region. First mentioning of the church comes from the 15th century, but it is believed that the parish had been establishment around 1267. Initially, the church had been created in the Gothic style, but in the 18th century, it was reconstructed by Krzysztof Bonandura the Elder, who was the Mannerism aficionado. The equipment of the church comes mainly from the Baroque period. Inside the justify chapel, there is a Rococo altar, incorporating the valuable painting of Our Lady of the Rosary by Bartlomiej Strobel. On the top of the cupola of the Saint Jadwiga parish, one can spot a metal figure of Saint Florian. 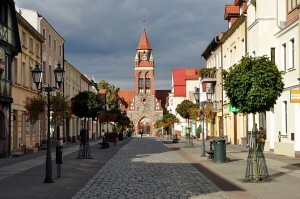 In the middle of the Powstancow Wielkopolskich Square, one may encounter a post-Evangelic church. 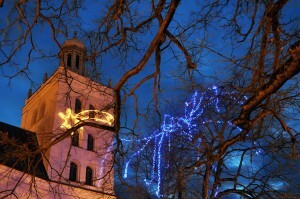 This building is visible from the Szeroka Street. 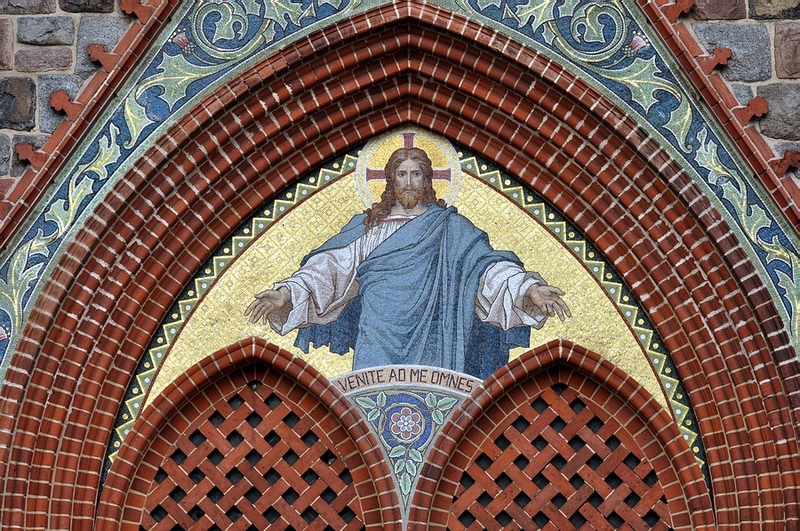 The church is a neo-Gothic structure, which was built in 1905. Since the second half of the 1950s, it is a Catholic church, and the seat of the Sacred Heart Parish. The building is characterized by red brick used for its creation, as well as a stone pedestal and a significant part of the facade, which was incorporated into the tower. The bottom of the tower has a square shape, and the top of it is octagonal; one can also distinguish a belfry and clock. Over the entrance to church, there is a glamorous mosaic of Jesus Christ. Below, a visitor may spot of a wooden frieze with some scenes from the life of our savior. The church also has stained glass windows from 1980s. 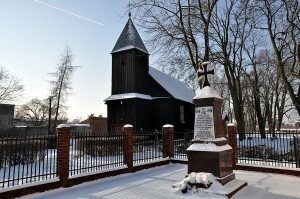 Near the Rakoniewicka Street, there is a wooden church dedicated to the Holy Spirit. This church was built in 1664 in the exact place, where a chapel had been situated 1426. The construction is characteristic mainly due to its log cabin construction, the outer side of which is covered with timber. On the south side of the Church of Holy Spirit in Grodzisk Wielkopolski, there is a two-storey tower with construction prop and lintel with incorporated church-porch, on the top of which there is a majestic dome covered with metal plates. 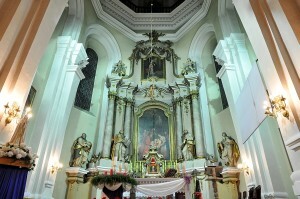 Inside the church, one can spot with Rococo polychromes, as well as altars and paintings from the 17th and 18th centuries. 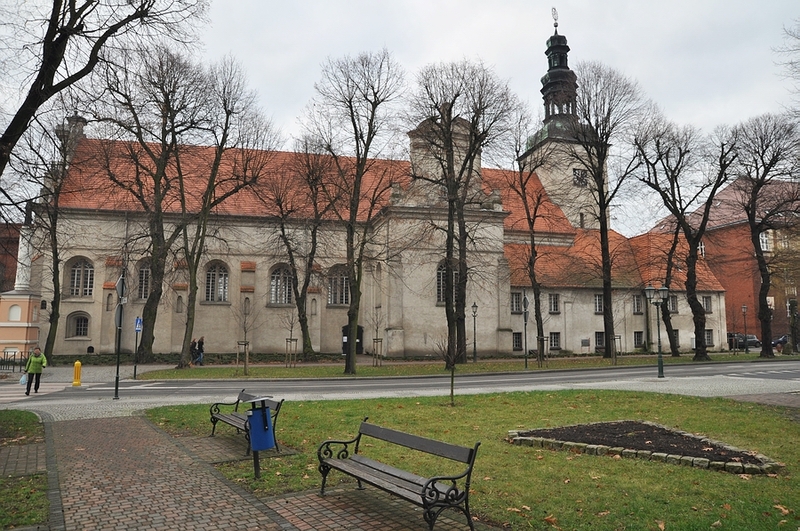 Near the Priest Tuszynski Roundabout, a baroque post-Bernardine church is situated. It is often called a monastery. The roof of the temple and the two-storey cupola of the tower are dated on 1630s. Inside the temple, a visitor can encounter altars decorated with paintings by monastic painters. On the main altar, there is an image from the 16th century, which depicts the adoration of the holy name of Jesus Christ by King Jan Kazimierz, as well as by saints and dignitaries. 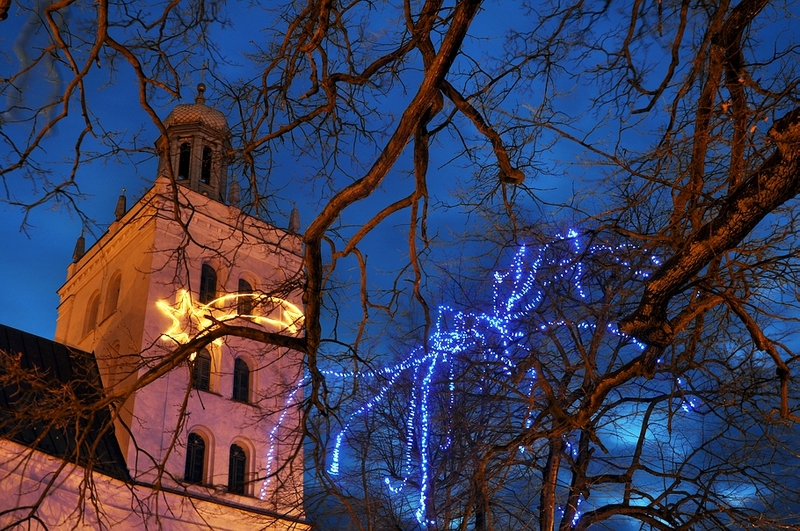 Since 1830, the monastery is a branch-church of the Saint Jadwiga Parish.